Amos Elkana is a multi-award-winning composer. In their decision to award him the Prime Minister's Prize for Music Composition the jury noted that Elkana is the author of "very original music, independent of the prevailing fashion, guided by unique and delicate taste," and radiates "a strong sense of honesty." 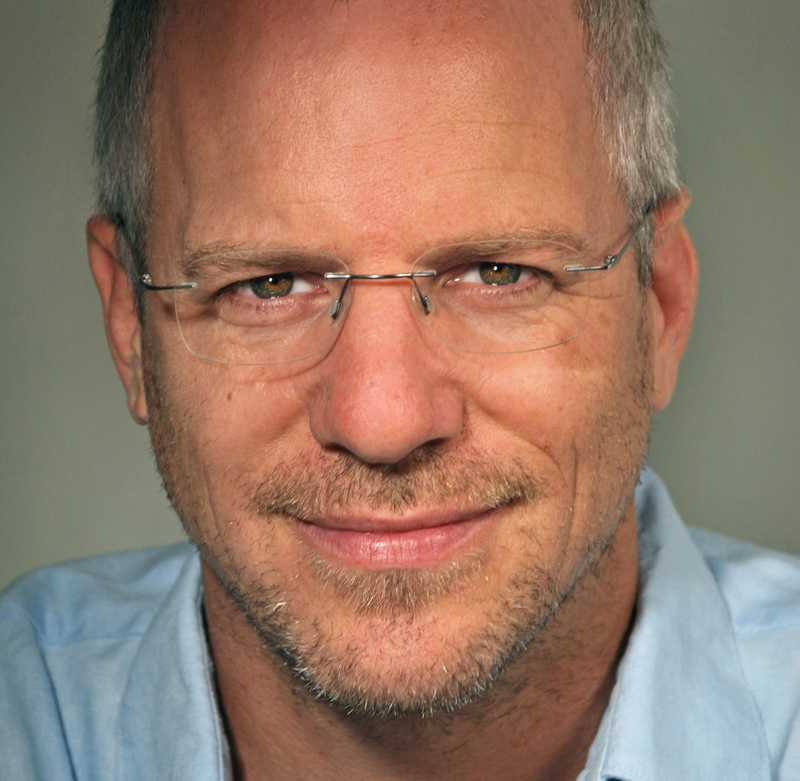 Amos was born in Boston, USA in 1967 but grew up in Jerusalem, Israel. He returned to Boston in 1987 to study jazz guitar at the Berklee College of Music and composition at the The New England Conservatory of Music. His primary composition teacher at NEC was William Thomas McKinley. Later on he moved to Paris were he took composition lessons with Michele Reverdy and additional lessons with Erik Norby in Denmark and with Paul-Heinz Dittrich and Edison Denisov in Berlin. Elkana got his MFA degree from Bard College (New York) in music/sound. While at Bard, he focused on electronic music and studied with Pauline Oliveros, David Behrman, Richard Teitelbaum, George Lewis, Maryanne Amacher and Larry Polansky among others. 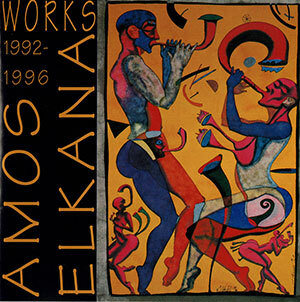 Already in 1993, as a 26 years old, Elkana had his Carnegie Hall debut with "Saxophone Quartet No.1" composed for the Berlin Saxophone Quartet. Since then his music has been performed all over the world by major orchestras, ensembles and soloists such as the Berlin Symphony Orchestra, the Israel Symphony Orchestra, the Slovak Radio Symphony Orchestra, Ensemble Meitar, Musica Nova Consort, the Orquesta de Cámara del Auditorio de Zaragoza ("Grupo Enigma"), the Stockholm Saxophone Quartet and many more. In 1994 Elkana composed "Tru’a", a concerto for clarinet and orchestra, that was recorded by Richard Stoltzman and the Warsaw Philharmonic Orchestra. Tru’a was premiered in Israel by Gilad Harel and the Jerusalem Symphony Orchestra under Frédéric Chaslin and in Taiwan by the TNUA orchestra. "Arabic Lessons", a tri-lingual song-cycle in Arabic, Hebrew and German to the words of Michael Roes, was composed in 97-98 and premiered in the Berlin Festival in 1998. For this work Elkana received the Golden Feather Award from ACUM. In its review of Arabic Lessons, the Jerusalem Post called it "a perplexing, beguiling 40-minute opus in which the composer challenges the so-called 'acceptable' form of the lieder, shattering it and building it anew, as if constructing a new world from its ashes. ...Arabic Lessons is one of the most significant works composed in Israel for quite a while." In 2006 Elkana composed "Eight Flowers" for solo piano in honor of György Kurtág's 80th birthday. The work was premiered that same year in Schloss Neuhardenberg near Berlin during a festival celebrating Kurtág and in his presence. Since then this work has been performed all over the world including the ISCM World Music Days in Sweden in 2009. Elkana’s short opera "The Journey Home" comments on the Israeli-Palestinian conflict by telling the true and incredibly touching story of a Palestinian man who lived in this troubled land during most of 20th century. The opera was commissioned by opus21musicPlus and premiered in the Gasteig Auditorium in Munich in 2013. In 2013-2014 Elkana was invited to be a fellow for a year at the International Research Center »Interweaving Performance Cultures« in Berlin where he worked on his next opera "Nathan the Wise". This fascinating project brings Lessing's play to life as a tri-lingual opera. The original text was edited into a libretto in Hebrew, German and Arabic by Elkana's long time collaborator Michael Roes while preserving Lessing's unique poetic language. In 2015 Elkana composed his Piano Concerto ...with purity and light... commissioned by the Israel Symphony Orchestra with soloist Amit Dolberg on piano. The concerto was premiered to great critical acclaim in July 2016. Amos released several albums of his music. The latest one from Albany Records is titled Tripp. 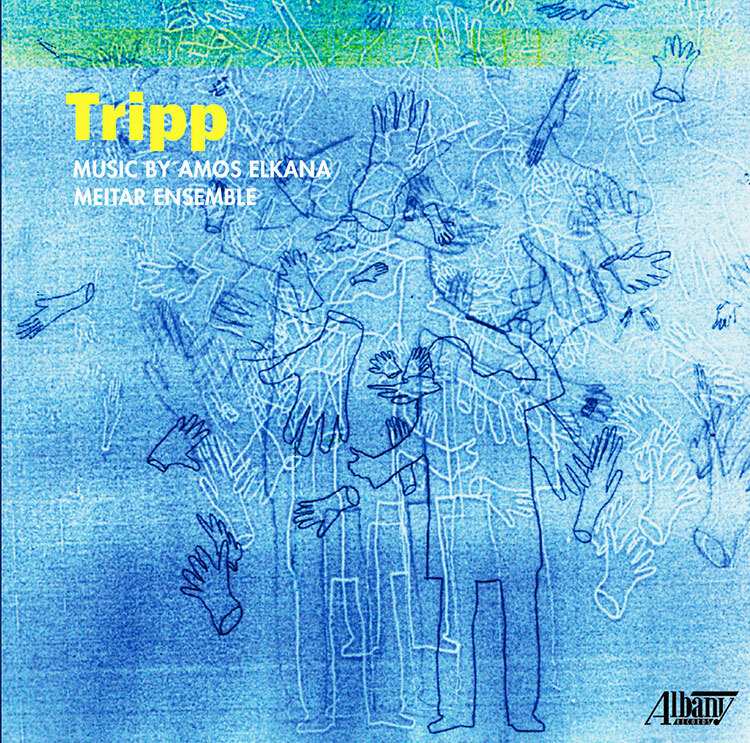 The CD includes 7 compositions, the quintet Tripp plus 5 solo works for the instruments playing in the quintet. There is also a bonus track for celesta solo. In its review of the album, Amir Mendel of Haaretz wrote "The works in the album create a colorful and fascinating variety that is interesting to listen to in sequence, as well as each of them separately. The performance is brilliant, the recording is excellent, and the whole is a display of contemporary music, intriguing, deep and ignites the listener's emotion and imagination." 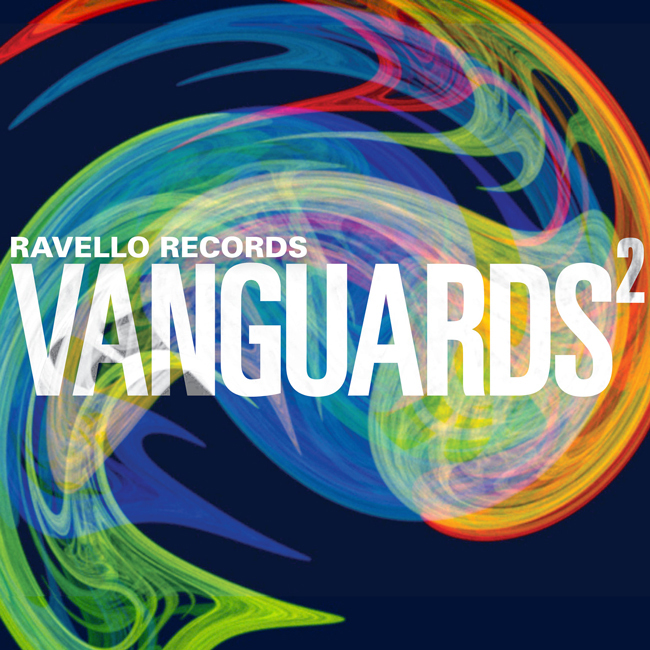 Casino Umbro is the title of the CD released in 2012 on the American label Ravello. 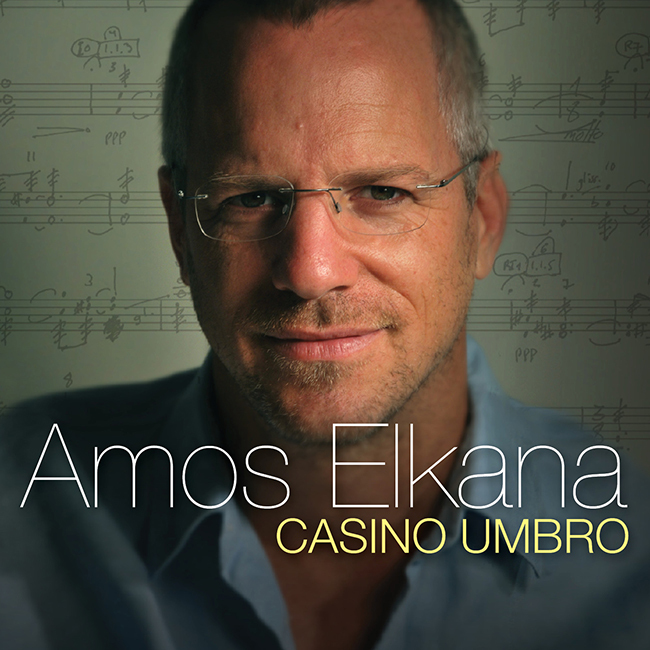 The CD includes four compositions: Casino Umbro, String Quartet No.2, Arabic Lessons and Tru'a. 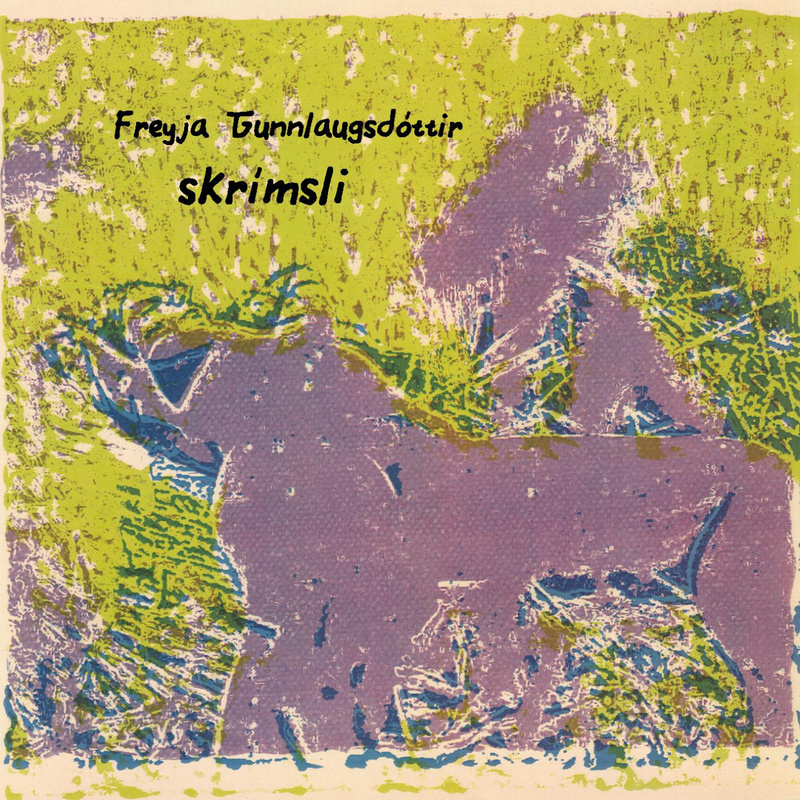 Frank J. Oteri reviewed this album on New music box. Apart from concert music, Elkana composes regularly for dance and theater. He frequently works with director/choregrapher Sommer Ulrickson and Artist/Stage designer Alexander Polzin. This team produced several works which were staged in the US, Germany and Israel. Among them "After Hamlet" which is a dance/theater piece that takes an original twist on Shakespear's Hamlet, "Never Mind" which deals with the Capgras syndrome, "Remains" and "Zwischenspiel". Elkana is one of the few experts of the open-source program "Pure Data" and he teaches it and electronic music in general as well as composition. In the past he taught at UC Santa Cruz and gave lectures on his music at the Munich Academy of Music and Theater, Academia de Muzică "Gheorghe Dima" in Cluj-Napoca, the Jerusalem Academy of Music and Dance and the Buchmann-Mehta School of Music among others. Amos is also an active performer. He regularly participates in concerts and performances of improvised music where he plays the electric guitar and the computer. In 2010 he opened the International Literature Festival in Berlin giving a concert of his music for Recorded voices of poets, Electric guitar and electronics. Click on work title for media and more info. Three movements that are played through without pause. In each movement the focus is on a different instrument. In the first vibraphone, in the second drums and in the third xylophone and bowed vibraphone. The computer has a dual function, recording the live playing and playing it back in different places and, processing the material received by the microphones in real time and broadcasting through the 4 speakers in the hall. Everything that is heard depends entirely on the performance of the player. This composition was written for Oded Geizhals and dedicated to him. As a little boy my father had a collection of small glass churches that were very dear to him and when he and his parents were taken to Auschwitz in 1944 my grandfather absolutely forbade my father to take them along. "Glass Churches" is the first movement of a broader work that deals with the life of my father, Yehuda Elkana. This first chapter describes his childhood in Europe during the 2nd world war. The piece uses actual recordings of my father in which he tells his story. It is composed for six musicians with live electronics and video and was written especially for the Meitar Ensemble. According to Don Juan (Carlos Castaneda), A man of knowledge is one who has followed truthfully the hardships of learning, a man who has, without rushing or without faltering, gone as far as he can in unraveling the secrets of power and knowledge. To become a man of knowledge one must challenge and defeat his four natural enemies. The four natural enemies are: Fear, Clarity, Power and Old age. Each of the 4 movements of this piece is inspired by an enemy in the order that Don Juan talks about. However, this is not program music. One can listen without knowing what inspired me in my writing and still, hopefully, enjoy the music and take something out of it. The piece is an homage to Carlos Castaneda. It was written for and dedicated to Gilad Harel. "When a man starts to learn, he is never clear about his objectives. His purpose is faulty; his intent is vague. He hopes for rewards that will never materialize, for he knows nothing of the hardships of learning. "He slowly begins to learn - bit by bit at first, then in big chunks. And his thoughts soon clash. What he learns is never what he pictured, or imagined, and so he begins to be afraid. Learning is never what one expects. Every step of learning is a new task, and the fear the man is experiencing begins to mount mercilessly, unyieldingly. His purpose becomes a battlefield. "And thus he has tumbled upon the first of his natural enemies: Fear! A terrible enemy - treacherous, and difficult to overcome. It remains concealed at every turn of the way, prowling, waiting. And if the man, terrified in its presence, runs away, his enemy will have put an end to his quest." "What will happen to the man if he runs away in fear?" "Nothing happens to him except that he will never learn. He will never become a man of knowledge. He will perhaps be a bully or a harmless, scared man; at any rate, he will be a defeated man. His first enemy will have put an end to his cravings." "And what can he do to overcome fear?" "The answer is very simple. He must not run away. He must defy his fear, and in spite of it he must take the next step in learning, and the next, and the next. He must be fully afraid, and yet he must not stop. That is the rule! And a moment will come when his first enemy retreats. The man begins to feel sure of himself. His intent becomes stronger. Learning is no longer a terrifying task. "When this joyful moment comes, the man can say without hesitation that he has defeated his first natural enemy." "Does it happen at once, don Juan, or little by little?" "It happens little by little, and yet the fear is vanquished suddenly and fast." "But won't the man be afraid again if something new happens to him?" "No. Once a man has vanquished fear, he is free from it for the rest of his life because, instead of fear, he has acquired clarity - a clarity of mind which erases fear. By then a man knows his desires; he knows how to satisfy those desires. He can anticipate the new steps of learning, and a sharp clarity surrounds everything. The man feels that nothing is concealed. "And thus he has encountered his second enemy: Clarity! That clarity of mind, which is so hard to obtain, dispels fear, but also blinds. "It forces the man never to doubt himself. It gives him the assurance he can do anything he pleases, for he sees clearly into everything. And he is courageous because he is clear, and he stops at nothing because he is clear. But all that is a mistake; it is like something incomplete. If the man yields to this make-believe power, he has succumbed to his second enemy and will fumble with learning. He will rush when he should be patient, or he will be patient when he should rush. And he will fumble with learning until he winds up incapable of learning anything more." "What becomes of a man who is defeated in that way, don Juan? Does he die as a result?" "No, he doesn't die. His second enemy has just stopped him cold from trying to become a man of knowledge; instead, the man may turn into a buoyant warrior, or a clown. Yet the clarity for which he has paid so dearly will never change to darkness and fear again. He will be clear as long as he lives, but he will no longer learn, or yearn for anything." "But what does he have to do to avoid being defeated?" "He must do what he did with fear: he must defy his clarity and use it only to see, and wait patiently and measure carefully before taking new steps; he must think, above all, that his clarity is almost a mistake. And a moment will come when he will understand that his clarity was only a point before his eyes. And thus he will have overcome his second enemy, and will arrive at a position where nothing can harm him any more. This will not be a mistake. It will not be only a point before his eyes. It will be true power. "He will know at this point that the power he has been pursuing for so long is finally his. He can do with it whatever he pleases. His ally is at his command. His wish is the rule. He sees all that is around him. But he has also come across his third enemy: Power! "Power is the strongest of all enemies. And naturally the easiest thing to do is to give in; after all, the man is truly invincible. He commands; he begins by taking calculated risks, and ends in making rules, because he is a master. "A man at this stage hardly notices his third enemy closing in on him. And suddenly, without knowing, he will certainly have lost the battle. His enemy will have turned him into a cruel, capricious man." "Will he lose his power?" "No, he will never lose his clarity or his power." "What then will distinguish him from a man of knowledge?" "A man who is defeated by power dies without really knowing how to handle it. Power is only a burden upon his fate. Such a man has no command over himself, and cannot tell when or how to use his power." "Is the defeat by any of these enemies a final defeat?" "Of course it is final. Once one of these enemies overpowers a man there is nothing he can do." "Is it possible, for instance, that the man who is defeated by power may see his error and mend his ways?" "No. Once a man gives in he is through." "But what if he is temporarily blinded by power, and then refuses it?" "That means his battle is still on. That means he is still trying to become a man of knowledge. A man is defeated only when he no longer tries, and abandons himself." "But then, don Juan, it is possible that a man may abandon himself to fear for years, but finally conquer it." "No, that is not true. If he gives in to fear he will never conquer it, because he will shy away from learning and never try again. But if he tries to learn for years in the midst of his fear, he will eventually conquer it because he will never have really abandoned himself to it." "How can he defeat his third enemy, don Juan?" "He has to defy it, deliberately. He has to come to realize the power he has seemingly conquered is in reality never his. He must keep himself in line at all times, handling carefully and faithfully all that he has learned. If he can see that clarity and power, without his control over himself, are worse than mistakes, he will reach a point where everything is held in check. He will know then when and how to use his power. And thus he will have defeated his third enemy. "The man will be, by then, at the end of his journey of learning, and almost without warning he will come upon the last of his enemies: Old age! This enemy is the cruelest of all, the one he won't be able to defeat completely, but only fight away. "This is the time when a man has no more fears, no more impatient clarity of mind - a time when all his power is in check, but also the time when he has an unyielding desire to rest. If he gives in totally to his desire to lie down and forget, if he soothes himself in tiredness, he will have lost his last round, and his enemy will cut him down into a feeble old creature. His desire to retreat will overrule all his clarity, his power, and his knowledge. "But if the man sloughs off his tiredness, and lives his fate through, he can then be called a man of knowledge, if only for the brief moment when he succeeds in fighting off his last, invincible enemy. That moment of clarity, power, and knowledge is enough." This work is inspired by the poem "Midsummer Night" by Ann Lauterbach. There are three sound sources that the listener hears: The live cello sound coming from the stage; The real-time computer manipulated sound of the cello coming out of the 4 speakers surrounding the audience and the prerecorded voice of the poet also coming out of the speakers. The cellist plays from a score and his performance affects the way the electronics sound. This work is dedicated to Amnon Wolman on his 60th birthday. In “Tripp” I have used a series of numbers as a fractal in order to create the structure of the composition and the proportions within it. This is a technique I use often. It creates a form where the micro and macro levels have the same proportions. Exactly as it is in fractal geometry where zooming into a part of the whole reveals that it looks exactly like the whole. While searching for a title for this piece I googled the number series that I used and a zip-code of a small town in South Dakota came up. The town’s name is Tripp… This piece was commissioned by the Barlow Endowment for Music Composition at Brigham Young University for the Meitar Ensemble. It was premiered at Meitar’s 2016-2017 season opening concert on October 29th 2016 in Tel Aviv. ...with purity and light... is a piano concerto composed in 2015. It was commissioned by the Israel Symphony Orchestra and premiered by them with Amit Dolberg on piano and Sascha Goetzel conducting. Like the architect who sketches the outline of a new house before going into details, so do I with a new piece of music. I outline the structure by dividing a certain time frame into sections and subsections. This formal outline is built using the mathematical principle of fractals which use concepts of self similarity and recursion. (I have used the same method for most of my compositions since 2003. The algorithm is similar but the numbers are different every time.) Only then I begin to enter sounds into the form. The sounds bring the form to life and give it meaning. In most of my instrumental music there are no extra-musical motivation - a sound is there because of the sound that came before (or after) it. I found the title for this piece "...with purity and light..." in a poem by Rumi after searching some texts which are close to my heart and that had a phrase which answer to the following criteria: the phrase has to be made up of four words while the first word is 4 letters long, the second is 6, the third is 3 and the last is 5. These numbers reveal the ratios of the time-fractal that was used in this composition - 4,6,3,5.
we are sweeping the road to the sky. Your joy is here today, what remains for tomorrow? Heaven and earth are filled with purity and light. Oh! joy for he who has escaped from this world of perfumes and color! For beyond these colors and these perfumes, these are other colors in the heart and the soul. Although this water and this clay contain the hearth of the philosophical stone. "Reflections" is a work for violin and computer. In this work, the computer functions like a mirror by continuously recording the violin and then playing it back at different times throughout the duration of the piece. These recordings are not random, they happen in specific places and played back elsewhere. Sometimes this creates a multitude of voices where one can not distinguish between live violin playing and the recording (the sound is rarely processed). In fact, in certain sections the music sounds as if it is an ensemble of violins playing together. In order for this effect to be successful, maximum accuracy and concentration are required on the part of the violinist. 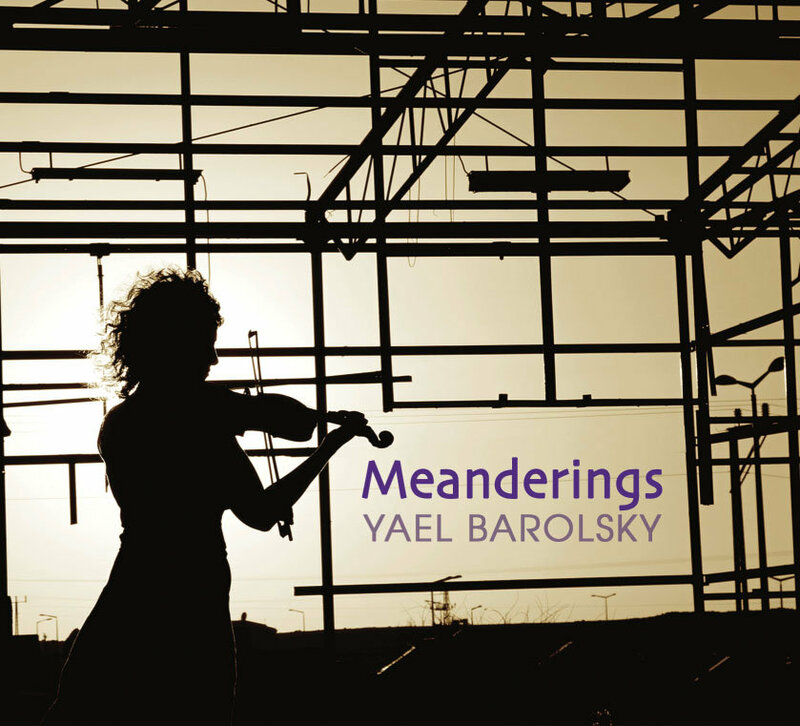 The piece was written for Yael Barolsky and dedicated to her. It was premiered at the Teiva in Jaffa on May 1st 2014. Year: 2013 | Duration: ca. 10min. Pinter's disturbing but relevant play translated into Hebrew and recorded by two men whose voices are heard from the speakers on stage. A single performer reacts to the recorded dialog with gestures and movement but without words. The sounds that the performer makes on stage are picked by the microphone that is hanging above the stage. These sounds are processed in real time by a computer and output through the speakers. A short opera in Arabic and Hebrew based on a true story. Synopsis: It is the 1920's. Ali, a Palestinian boy from Nablus, has reached his 18th birthday and becomes a man in his own right. Instead of going into the family business and contrary to his father's wishes, Ali decides to leave home and go to the big city, to Jerusalem. In Jerusalem Ali meets and befriends Eliahu, an elder Jew, who invites him to his home for Shabbat. For the first time in his life Ali becomes acquainted with Jewish people and their customs. He is deeply moved by their hospitality and is fascinated by their culture and decides to convert to Judaism. Ali quickly becomes an important figure in his new society. He is respected in the synagogue and his Hebrew is flawless. His new name is Avraham. He finds a good job, he has money, he is tall and handsome. After a short time Avraham meets a Jewish woman, Yehudit, and they fall in love. The couple gets married and move in together. They have children and everything goes well except for the relations between Avraham and Yehudit’s mother. The mother can’t stand him and constantly insults him and makes his life miserable. One day, after another terrible fight between them, Avraham leaves his house and wanders the streets in agony and despair. A British police officer finds him and thinks he looks suspicious. Avraham looks drunk, he mumbles in Arabic and Hebrew and when Avraham cannot produce an ID upon request, he arrests him and takes him into custody. In detention no one believes Ali's story. His family doesn’t even know where he is. After sometime his parents from Nablus learn about his situation and they come to visit him. They manage to convince the authorities to set him free on one condition that he goes back to Nablus with them. At first Ali refuses. He still believes that his Jewish family will come and release him. After a while his parents come to visit him again and this time they manage to persuade him to go back with them. Shortly after, in 1948, war breaks out and the borders between Israel and Palestine close. Ali cannot return to Jerusalem. Despite his wishes he now lives with his parents in Nablus. After a while he meets a local Muslim woman. They fall in love and get married. Ali has a new family now. 20 years later, after the 1967 war, Ali writes a letter to his Jewish family. He is terminally ill. He asks to see them for the last time. Shortly after Ali dies. Everyone, Jews and Arabs, attend his funeral. Year: 2013 | Duration: ca. 14min. Josef Tal's brilliant Piano concerto no.6 was composed in 1970 for solo piano and magnetic tape. On the occasion of the Israeli Music Celebration 2013, I was asked by Amit Dolberg to make a new version of the concerto with new electronic accompaniment that will replace the original tape created by Tal in his electronic studio back in 1970. My version makes use of technologies that were unavailable in Tal's lifetime and include real-time processing and randomized events which are triggered by the live piano playing. היתה לי זכות גדולה להפגש ולשוחח מספר פעמים עם יוסף טל לאורך שנות התשעים. בפגישות המרתקות הללו שוחחנו בעיקר על סוגיות שונות במוסיקה. המוסיקה האלקטרונית והפוטנציאל הטמון בה תפסו בשיחות אלו מקום נכבד. טל היה מחלוצי המוסיקה האלקטרונית בארץ ובעולם ורעיונותיו בתחום זה היו רבים ומגוונים. הוא חקר ויצר מוסיקה אלקטרונית והשתמש לשם כך בכל הכלים שעמדו לרשותו. יחד עם זאת בשנה בה נכתב הקונצרטו השישי לפסנתר ואלקטרוניקה (1970) יצירת מוסיקה אלקטרונית באמצעות מחשב הייתה עדיין בתחילת הדרך. כדי למצות את הפוטנציאל הטמון במחשב היה צורך במחשבי על שהשימוש בהם היה יקר ונדיר. לקראת סוף המאה ועשרים נעשה השימוש במחשב הרבה יותר זמין ופשוט וטל היה סקרן מאד לדעת לאן דבר זה יוביל את המוסיקה האלקטרונית. דיברנו רבות על האפשרויות שנפתחו עקב כך. למשל, עיבוד אותות בזמן אמת ותהליכים רנדומליים. The title of the piece was taken from David Hockney's work called Pearblossom Highway. Hockney used a large number of Polaroid images of the same item to create a complex art work. These images show the same thing but from different perspectives. My work is built on a similar technique and examines the different possibilities of the same musical material. The pitch material that forms the basis for this work is a set of 11 tones. The missing tone (C) is not heard in its natural form and is "hidden" as a prepared mechanical noise on the piano and in marimba. Year: 2012 | Duration: ca. 70min. What is our self, what is capable of destroying it, and how can it be recovered? These and other difficult questions are at the heart of "Never Mind", an interdisciplinary stage production by choreographer Sommer Ulrickson and molecular biologist and writer Giovanni Frazzetto. The play "Never Mind" an experiment at the interface of science and theater, will premiere at the Sophiensaele on January 25, 2012. The two-part evening deals with, among other things, the Capgras syndrome, a neurological disorder that occurs frequently as a result of brain injury or severe dementia. First described by French psychiatrist J. M. Joseph Capgras, it is a very rare syndrome, where patients believe that close friends and relatives have been replaced with identical-looking doubles. While otherwise showing normal behavior, Capgras sufferers perceive close acquaintances, often even close friends and partners, as imposters. The patients recognize the faces, but lack the ability to link them with emotional body reactions. The production, which is the result of an intense cross-disciplinary collaboration between a scientist and an artist, examines the fragility of relationships as well as the frustration of everybody involved when dealing with psychic disorders. Trying out new forms of dance and music theater, the play does without traditional dramatic means such as, for example, a linear storyline and sees science - in this case neurological theories on the Capgras syndrome – as an "expanded and dominating theatrical metaphor." Through a tension-filled yet exciting dialectic, this work illustrates both the potential of neurobiology and its helplessness when it comes to existential questions about the "true self." Ulrickson and Frazzetto see their "neuro performance" as part of a curious inquiry that employs artistic reflection to communicate to the public the highly complex findings of an "expert-based science." Scientific material is examined and expanded through theatrical means. Conversely, the theatrical performance feeds on facts collected during scientific experiments. The project aims to foster a productive dialogue between science and art. A panicle is a compound raceme, a loose, much-branched indeterminate inflorescence with pedicellate flowers (and fruit) attached along the secondary branches; in other words, a branched cluster of flowers in which the branches are racemes. מַ‏כְבֵּ‏ד (panicle) - אשכול מורכב, תפרחת שבה הפרחים מסתעפים מענפים צדדיים, המסתעפים בעצמם מציר התפרחת. במלים אחרות, מכבד הוא מקבץ של אשכולות המסתעפים מציר משותף. Tensegrity, is a structural principle based on the use of isolated components in compression inside a net of continuous tension. An Icosahedron is geometrical structure with 20 equilateral triangular faces. This composition is made out of 20 miniature movements in no particular order. It is up to the performers to decide upon the order of the different movements. All movements are created from the same raw material (an 8 tone set) and all are structured according to my fractal form principle. A short piece for an amatuer childrens choir accompanied by a sextet. Set to the text of Doris Wille as preparation for the flying carpet 2013 - Odyssey project created and organized by Konstantia Gourzi and opus21musikplus. The hebrew word 'Saharuri' means 'Moonstruck' in english. This title was inspired by Schoenberg's 'Pierrot Lunaire' which uses the same instrumentation. As the title also suggests, the hebrew word is constructed of four Syllabls and so the work itself is constructed of four main sections. The series of four numbers, 4-7-6-6, governs the proportions of the composition from the micro organization of notes to the macro structure of the whole work. This series is treated like a fractal in the sense that the macro structure can be split into parts, each of which is a reduced-size copy of the whole. I composed this work for young saxophone players so the task was to make it short and not too difficult. Eventually I came up with something fun and groovy to play which although short makes a complete statement. In March 2018 I had an inspiring recording session of this quartet with the fantastic Tel Aviv Saxophone Quartet courtesy of the Israel Composers' League. After the session was over we still had half an hour to spare in the recording studio so I suggested they improvise freely on the first theme (I called it "between Coltrane and Lachenmann") and I asked Yaron Aldema to continue recording. The result was so good that I added this ad lib. section as an integral part of the work. Here is the result. Year: 2010 | Duration: ca. 10min. Solitude for Viola solo was written for the Romanian viola player Eugene Cibisescu-Duran, with whom I performed in Israel and Romania. The piece was first premiered in March 2010 in Cluj-Napoca. The first movement is rather elegiac in tone, starting with a single melodic line that develops into two polyphonic lines. The second movement is virtousic and fast, consisting of semi-quavers only which go from the extremely low to the extremely high end of the instrument's register. My intention was to give the movement a somewhat mechanical flavor, which is softened or contradicted by the fact that accents often occur in unexpected places. I was asked to compose this work for a concert given by two Israeli ensembles - the contemporary music ensemble "Meitar" and the period instruments ensemble the "Israeli Bach Soloists". Each ensemble contributed three players for the joint ensemble: Violin, Flute and Piano from Meitar and 2 Bass Viols and Harpsichord from the Bach Soloists. The work begins and ends with short passages in baroque style played by the period instruments but in between there is development, transformation and expansion of the beginning passage in my own style. This work was composed during my residency at Civitella Ranieri in Umbria, Italy in October 2010. “Casino Umbro" means "Umbrian Noise" or mess; the work was created during the composer’s residency at Civitella Ranieri in Umbria. Noise it is, if one considers the juxtaposition and fusion of two diametrically opposed musical style and sonic concepts – a baroque and contemporary one – a blasphemous concoction. (The work was invited by two Israeli ensembles: the contemporary music ensemble "Meitar" and the period instruments ensemble "Israeli Bach Soloists".) But the spirit of lush Umbria penetrates the texture. The work is indeed a good one to enter into Amos Elkana’s sonic world: transparent despite complications, communicative though sophisticated, soft and exuberant, emotional and thoughtful. It embarks with a French baroque gesture, embellished, warm; modal D. A perpetuum mobile jazz-like piano figuration emerges from this solemnity, gradually sweeping the other participants into its “mechanical” gesticulations, until all are dancing a “fractal” dance on a kaleidoscopally ever changing, adding and subtracting pitch and rhythm patterns. These two sections determine a structure of the kind found in Beethoven’s late works (and then in Mahler, Bartok and others): an alternating structure, in which each contrasting section affects the next, which structurally refers back to the one before (in the spirit of an ABABA… form). The dreamy like section that follows the “fractal dance”, is thus a sonic and tonal admixture of both universes: impressionistic, fraught with novel sonorities, but allowing sporadically for “conventional” chords to flicker, soft and slightly embellished melodies to emerge. Fourth section is likewise reactive, becoming a more reflective, moderate dance, divulging how modern-jazz piano can find itself dialoguing with a baroque harpsichord, without each losing its idiomatic identity, encouraging the other actors to similarly behave. One can hear in another section a Schoenbergian Klangfarben Melodie as a natural development of forgoing events, followed by a Stravinsky-like recollection. And so it goes, until all is silenced back into a baroquian gesture – a whole tone higher, a universe apart. The idea behind this piece is to emphasize the "how" instead of the "what". In other words, it doesn't matter what you say (or play) but how you say (or play) it. The music score of this piece uses colors and symbols to give the players an idea of how the music should sound like. Each musical parameter is divided into three levels, for example, dynamics are Soft, Medium or Loud and the player has to decide what exactly this means given the musical context. The actual tones that are being played are taken from a pool of tones, a matrix of rows and columns of tones that the players choose from. To better understand these concepts take a look at the score. Whither do you go home is the title of a poem written about my father, Yehuda Elkana, by Péter Nádas. The poem, as well as the music, is divided into six parts. In the poem, the last verse is different from the first five. It is intimate and personal as opposed to the first five. This is also apparent in the music: In the first five the cello is playing solo while its sound is fed into the computer and manipulated in real time. Before each musical verse one can hear the voice of the poet himself reciting the verse in Hungarian, his native tongue. In the background the words of the poem are being heard on and off as whispers from the six speakers surrounding the audience. In the last part, six recorded versions in English of the last verse of the poem are heard simultaneously from the six surrounding speakers while the cello plays a single sustained note throughout. The vocal part was recorded by the tenor Topi Lehtipuu. This piece was commissioned by the Central European University in Budapest and premiered there on June 15, 2009.
mintha egyetlen ne lenne több egynél. nicht seinen eigenen Atemzug zurückweisen will. im hirngefüllten Raum der Schädel so nach. als ob ein einzelnes nicht mehr als eines wäre. unless one can reject one’s own breathing. Whither do you go home. in the marrow-filled space of skulls. a singularity were not more than one. have a thing like this. Year: 2009 | Duration: ca. 22min. Year: 2009 | Duration: ca. 3min. In 1974, when I was seven years old, I received a letter from America. On the envelope was written my name, preceded by the title "Master". This impressed me immensely; it was the first time that I was treated with such formal respect. The letter itself was even more impressing: It was beautifully typed in with a typing machine, the lines were all over the place, but in perfectly coherent order - from top to bottom, diagonal and backwards. It was a very funny letter and it also included a little ditty that I learned off by heart. The letter was signed: Uncle Bob. Perhaps 24 views on the same object from different perspectives. A bit like looking through a kaleidoscope. The structure of this composition abandons the traditional way of development through time, climax, etc. Only transformation from one moment to the next. The Electric Guitar blends in as a legitimate instrument in chamber music. Its sound is clean and warm and style of playing is influenced by jazz guitar tradition. My friend, the sculptor Alexander Polzin asked me to compose a new piece for the unveiling ceremony of his sculpture of Giordano Bruno in Berlin which took place in March 2008. In preparation for this work I read a lot about Bruno and tried to find my own connection to the subject. As it happens Bruno was an admirer of the Maharal and he always wanted to meet him. It is not written anywhere that the two actually met but it is known that Bruno was in fact in Prague in 1588 at the same time when the Maharal was there. This piece is inspired by the meeting that did (or did not) take place between the two men. In his fiction book 'Endless Things' John Crowley describes such a meeting. Oddly enough, I have found out that I am a direct descendant of the Maharal. He is right there in my family tree which dates back to 1392! This composition was completely revised in 2015. The piece was premiered by Amit Dolberg at the Israeli Prime Minister Prize for Music Composition ceremony of 2011. Year: 2007 | Duration: ca. 18min. An historic building on Lilenblum Street in Tel Aviv was going to be renovated and sold. This building used to house the secret headquarters of the high command of the Haganah organization. Until the time the renovation begins, it was given to the artist and curator Hadas Kedar who invited several artists to exhibit site specific works in the various abandoned spaces in the building. I was given the former communication room. My work involves manipulated recordings of various Haganah leaflets and other related sounds and electronics. It was heard inside the room by hidden speakers. First installed from Oct. 4-31, 2007 at the High Command exhibition in Tel Aviv, Israel. This piece is composed for the same exact instrumentation as Ligeti's own Chamber Concerto. I have always admired György Ligeti. I spent many hours studying his music and especially his Chamber Concerto for 13 instrumentalists. Ligeti died while I was working on this piece and I decided to make this work my homage to him. Hommage à György Ligeti was composed using a compositional method that is inspired by the idea of Fractals. A series of four numbers (5,6,4,4) dictate the micro and macro structure of the work. This method of composition can organize not only the structure of a piece but also its pitch material, rhythmic material and more but, even if strictly applied, it leaves much room for intuition on the part of the composer. 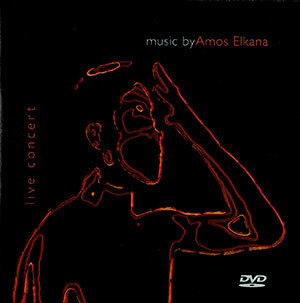 Version (2012): This is arranged for a symphony orchestra upon the request of the Israeli Music Festival 2012. I also added a section at the end that does not exist in the original composition. Eight Flowers are set of eight very short pieces for piano. Each piece was inspired by and named after a certain flower and together they form a bouquet. The order and number of times in which each of these pieces are played are left to the performer's discretion. In this way it is as if he/she is arranging the bouquet of flowers to suit his/her own taste. Premiered by Gabor Csalog on June 11, 2006 in Neuhardenberg, Germany, in a festival honoring György Kurtág on his 80th birthday. Year: 2006 | Duration: ca. 0min. The Poem: In Auden's lengthy poem, The Age of Anxiety, he follows the actions and thoughts of four characters that happen to meet in a bar during the Second World War. Their interactions with one another lead them on an imaginary quest in their minds in which they attempt, without success, to discover themselves. The themes and ideas that The Age of Anxiety conveys reflect his belief that man's quest for self-actualization is in vain. The Age of Anxiety is, in general, a quest poem. Unlike the ideal quest, however, this quest accomplishes nothing. The characters search for the meaning of self and, in essence, the meaning of life, but because their search is triggered by intoxication, the quest is doomed from the start. Throughout the quest, the characters believe themselves to be in a kind of purgatory, gradually descending toward hell. They fail to realize this due to "the modern human condition which denies possibility but refuses to call it impossible" (Nelson 117). The Paintings: Alexander Polzin's series of 99 paintings based on Auden's poem grew out of the artist's fascination with "...the unusual mixture of poetic quality, clear meaningful sentences and rich images." The series was made in 1999, which is one of the reasons the artist decided to paint 99 paintings. The other reason being his strong desire to accomplish the nearly impossible task of composing 99 paintings simultaneously. Polzin divided the text into 99 segments after reading the poem over and over again developing his own "melody" of the text. He also wanted to highlight some of the sentences in the poem by disconnecting them from their surroundings. The anxiety in the poem, for Polzin, is hidden under several layers of meaning and so in his paintings he decided to use a technique of layering. At the bottom layer of each painting he pasted a segment of the text and painted the number of that segment corresponding to his own subdivision of the text. He then created layers of paint and images on top of that sculpting out the parts he wanted to emphasize. Through this process most of the text and numbers became invisible. The Music: The sound source for this installation is largely based on a recording of five actors (four characters and one narrator) reciting the poem in a bar. During this process the actors were encouraged to drink as much as they wanted so as to recreate the mood of the original poem. The bartender was generous enough to turn off the background music during the recording and so the only background sounds are bar noises made by people drinking, conversing, laughing, playing pool, etc. Different layers of sound are created by transforming the bar recording electronically. These layers become alternately 'visible' and 'invisible' by fading them in and out. One of the electronic sound layers is created by analyzing 12 peaks from the recorded voice and connecting these peaks to 12 oscillators. The result is a sort of a modified reproduction of the actual voice recording. Another layer that is present is the sound of a quartet of wind instruments - tuba, trombone, trumpet and clarinet. Each instrument corresponds to a different character in the poem. These instruments are actually very high-quality samples of real instruments. Each note was recorded several times in different dynamic levels and different modes of attack. Extended playing techniques were also recorded and used. The actual notes that these instruments play are generated by a quasi-random process that uses a phrase, instead of a single note, as it's basic point of departure. The first thing that is determined on this level is the phrase duration. Since we are dealing with wind instruments, it has been taken into consideration that in normal situations the player of a wind instrument should have time to breathe after about 20 seconds of continuous playing. For each phrase the program decides: 1) What permutation and transposition of the row to play from a twelve tone matrix. 2) The durations of the notes in the phrase. 3) The dynamic range of the notes (for example, mp is not a constant level but a range). 4) The style of playing - staccato, legato, flutter-tongue, trills, etc. 5) The instrumental register - high, medium or low. What creates a relationship between the voices of the different instruments is that the phrases they all play are derived from the same source - the 12-tone matrix. Another layer is made out of percussion sounds that are triggered by the recording of the actors. The program picks out the 'attacks' of the recorded voice and these attacks trigger the percussion samples. Other transformations of the bar recording include pitch-shifting, delaying and spatializing. All of the sounds that are used in this piece are spatialized around the room by using four speakers that are placed in the four corners of the room. First installed from Apr. 6 - 29, 2006 at the Goethe Institute in New York City. Year: 2006 | Duration: ca. 4min. When my grandmother turned 100, I composed her favorite poem as my birthday present to her. The poem was Gefunden by Goethe. I recorded her reading the poem in the German original as well as in the Hebrew translation. My intention was to capture the essence of the poem as she understood it. I decided not to "clean" her recordings thus retaining tiny lingual mistakes, laughs of embarrassment, her comments on the text and other noises. Born in 1906 in Berlin and immigrating to Israel in 1933, she lived 27 years in Germany and 75 years in Israel and although she lived in Israel and spoke Hebrew most of her life, her German was flawless (with a distinct Berliner accent) while her Hebrew was not. The poem itself tells her story - a story of a forced uprooting and relocation. Premiered on May 11, 2006 in Jerusalem, Israel. Year: 2006 | Duration: ca. 8min. Lies and lethargies was composed for the opening of an exhibition by the German painter Alexander Polzin titled "The Age of Anxiety". The title of the exhibition comes from the famous poem by W.H.Auden. The text that is heard in this piece is taken from a monologue by the figure Rosetta, which appears in Auden's poem. The monologue opens with the sentence "Lies and lethargies police the world in its period of peace..." and it expresses disgust with the repressed and frightened character of the human being and his inability to learn from past mistakes. There are four characters in Auden's poem but this difficult and sarcastic text is said by the one figure that is both a woman and a Jew. Both the recorded text and the guitar sound are fed into the computer, which performs various real time manipulations on the sound. This duo is composed for the double-reed family of instruments. It features the Oboe, the English Horn and the Contrabassoon. The piece is divided into 4 sections that correspond to the AABA form. The degree of virtuosity required from the players is very high; the pitch ranges for the instruments are extreme but playing together and in time is probably as much of a challenge as reaching the notes at the extreme range of the instrument. This work is dedicated to my grandmother Miriam Keren and was premiered on the occasion of her 99th birthday. The second string quartet was written in 2004 for my father's 70th birthday. The work is composed of five parts. The first four are different from each other in atmosphere, rhythm and structure, but they are bound to each other through the musical motives which repeat themselves in various variations in each part. The fifth part is a kind of a musical summing up of the first four parts. In this part are heard, sometimes simultaneously, motives from the previous parts. This composition is written according to a composition method that I invented, inspired by the mathematics of fractals. The fractal is a geometrical form which is similar to itself at any level of breakdown at which we observe it. In other words: No matter how we look at its parts, the fractal will always be like its original form. The fractal is a common natural form: the leaf veins, blood vessels in our body, coast line, snow flake - in all these we can go into the finest detail and still feel as if we look at the whole picture. For composing music likewise, I use a series of numbers that dictate different durations within the work, from the level of the single note's duration up to the length of a whole movement. In this work the number series is 4-5-3-5-4. Thus, for example, the first movement is composed of 4 parts, the second of 5, the third of 3, the fourth of 5 and the fifth of 4. Likewise, the opening phrase of the work is composed of 4 notes, the next of 5, then of 3 and so on. The piece is not easily performed, mainly because it demands extremely high concentration and accuracy of the players. Although it is written in the common time signature of 4/4, the internal rhythmic division is very complex. String quartets have been always an arena for compositional experiments as they were a venue of intimate if not arcane discourse. String Quartet no. 2 strongly belongs to this tradition, as to its rich vocabulary of articulation, thematics, and textural modes. Elkana, searching for “rigorous predefined form that will grant him liberty of ‘pouring’ music into them”, elaborated a “method of composition with ‘fractal’ configurations”, which he intensively and extensively uses in this work. The mathematical idea of fractals is that similar patterns recur at progressively smaller (or larger) scale. Fractals are everywhere around us, we perceive them in snowflakes and leaf veins, and they make up blood vessels and coast lines, enabling us to experience the whole in the detail. Inspired by this basic idea, in some of his works Elkana embarks by shaping predetermined tone matrix, which could contain any number of tones, in any order some even repeated within the original set from which he then draw certain numerical orders that will recur in various structural levels in the work he conceives. Thus differentiating his system from the 12-tone Schoenbergain method, Elkana still adheres, in the procedure he developed, to the latter’s basic permutational modes, to which he applies rules of selection to avoid arbitrary choice. Rhythm is likewise manipulated. The cohesive effect, though not easy to detect, is intuitively experienced due to the thick recursive connections between micro- and macro-levels including that of the entire work. This, of course, does not exempt the composer from an imaginative, creative process and from giving each movement its own unique character and modes of unfolding. Thus in the first movement the highly profiled, soft and almost solemn opening theme, fugued through the four parts, will not be able to hold an immediate outburst of an abrupt homophonic gesture, and the alternation and conflation of these two basic utterances will furnish the basic dramatic infrastructure of the entire movement. Despite calculation (or maybe due to its constrains) the movement can be experienced as an essay on the rise and fall of tonal energy, in its basic, visceral undulations. The second movement is born from sustained sounds, which are ever there to collect all that transpires, into their serene duration, even the most capricious, frantic figuration which abound here as well. Tonal sustainability is embodied here in variety of being and becoming modes, and its presence is so strong throughout that even when it does not outwardly there we feel its presence. The brief scherzo-like third movement, a sort of peak in terms of the structure of the entire work, accentuates its edgy, almost ghost -like character through the sul ponticello (on the bridge) and other strings and bow effects, but no less by shaping temporal irregularities as a natural, inevitable flow. Ideas and sonorities from previous movements are recollected in the fourth, elegiac one, which searches, in different ways, for expression of unbeknownst yearn. Beethoven’s Convalescent's Holy Song of Thanksgiving to the Divinity, in the Lydian Mode” (String Quartet op. 132, 3rd movement) comes to mind. The fifth, a grand finale movement combines rondo-like construction with a playful recapitulation of moments and modes of being experienced throughout the work. This piece was written for the musicians with whom I spent a month at the 'Art OMI' residence in Upstate New York, hence the somewhat unusual instrumentation for flute, shakuhachi, bass clarinet, soprano and alto saxophone, djembe, electric guitar, viola, cello, harp and piano. In this work, I apply for the first time the fractal method that I've been working on for some time. This method of composition, which I call the fractal form, derives from the fractal notion that similar patterns recur at progressively smaller scales: If you look at a fractal image and then zoom in on a part of the image, the zoomed in part looks exactly the same as the whole image. When applying this principle to music, I define a series of numbers - in this case 5-4-3-4-5 - as the fractal set which you can find on the smallest and the largest formal scale of the work. Apart from giving me a clearly defined structure into which I can pour my musical ideas, what I also like about this method is that the resulting composition comprises a sense of order that one can perceive on a subconscious level, even if not on a conscious one. Premiered by the Art OMI ensemble on Aug. 18, 2003 at the Goethe Institute in New York City. Year: 2002 | Duration: ca. 20min. This piece was created in collaboration with director and choreographer Sommer Ulrickson and artist Alexander Polzin for a dance-theatre performance in Berlin after rethinking and developing our collaborative work "Zwischenspiel". The music was all prerecorded and played back through loudspeakers. All parts except number 2 are electronic compositions while part 2 is for solo Guitar. In this three-movement quartet, I use my fractal method as the main compositional tool. The first movement starts off with all four strings playing short, isolated notes within the very narrow register of one single octave, the unique timbre of the instruments thus disappears and gives way to one single soundscape. Beginning with the cello, the instruments gradually pull out of the staccato soundscape by playing melodic legato lines that make use of the instruments' full register. The melodies find together and grow into the movement's climax, which is then followed by a pizzicato section, this time played by all four instruments on their very high register. The second movement is very short and mainly consists of a canon. The third movement goes back to the staccato feeling of the first movement while focusing this time on harmony, hence on the repetition of short chords rather than of single notes. Premiered by the Akademia String Quartet on Oct. 15, 2001 at The Central European University in Budapest, Hungary. Year: 2000 | Duration: ca. 9min. This piece was created in collaboration with the choreographer Sommer Ulrickson and artist Alexander Polzin. The main theme of the work is 'manipulation' and the responsibility of the artist and was partially inspired by the life of the Nazi filmmaker Lenni Riefenstahl. The composition's two parts were prerecorded and use computer manipulated sampled sounds as well as acoustic Guitar and Piano recorded by the composer. A letter written by the Hungarian writer Peter Nadas of his thoughts about Lenni Riefenstahl is recited in German as part of the recorded music. Premiered on Oct. 26, 2000 at Podewil Center for Contemporary Art in Berlin, Germany. "Four Loops" is an arrangement of the second movement from Arabic Lessons, a song-cycle written for three voices and a small ensemble. The second movement of the Arabic Lessons acts as an instrumental overture to the entire song-cycle. As the title suggests, the piece contains four loops, meaning, four melodic phrases that are repeated by the four instruments successively. There are four sections in this piece and each section deploys one of the four loops. In this piece, I used a method of composition that starts with the properties of a single note (pitch and duration) and then develops an entire piece out of it. I grew up in Jerusalem in the 1970’s and 80’s. It was a city were Jews and Muslims lived side by side and interacted on a daily basis. Hebrew was my mother tongue but Arabic was everywhere too. Not only spoken by Palestinians but also by the parents and grandparents of my closest friends who immigrated a decade or two before from Arab speaking countries such as Iraq, Kurdistan, Morocco and Syria. Arabic was everywhere. On the other hand my grandmother, who was born in Berlin and immigrated to Israel (escaping the Nazis) when she was already a married woman in her late twenties, spoke to us children in Hebrew, often mixing in German words. She sang German lullabies to us and spoke German to her friends and to my parents when she didn’t want us to understand. For me Hebrew, Arabic and German were the three languages that I grew up on. Even though I speak Arabic and German poorly, their sounds and the cultures they embody are embedded in my DNA. The 13 poems that make the Arabic Lessons song cycle were written by the poet Michael Roes. Dr Roes wrote the poems in Arabic and then retranslated them into German (see the notes from the poet below). Professor Sasson Somekh of the Tel-Aviv University has kindly agreed to translate the poems into Hebrew from the Arabic original. The musical score of Arabic Lessons makes use of all the three languages. Some of the songs are sung simultaneously in Arabic, Hebrew and German. Each Song is scored using various instrumental combinations. There are two purely instrumental movements - one is the instrumental introduction "4 Loops" and the other is a solo for drum-set titled "Cannon". The work is composed in such a way so that it can be performed from beginning to end with no pause (ca. 35 minutes) or each song can stand alone as a composition by itself. To read the poems click here. If the European affiliation of the composer is well perceived in the first work, traversing in a musical time-machine distant eras, here it is his middle-eastern roots and concerns that he connects to the Germanic background of his ancestors. Languages and voices enter the scene; the poetry of the poet Michael Roes is the vehicle: “Arabic lessons” the poet calls it, and wishes to penetrate through learning the language the agonized worlds of conflict, occupation and memory. The lessons are further “studied” by the Israeli composer through their reflections in both Hebrew and German. The trilingual text thus combined is a difficult one, politically, emotionally: Jews’ ambivalence towards German, Arabs’ and Israelis’ suspicion towards each other’s language. Yet it is a triad that harbors hope: one of reciprocal listening, of understanding through difference, of people learning grammar, vocabulary and syntax of a basically unknown world that reveals itself through its loaded, inescapable political meanings. Feminine voices --three sopranos, are ideal carrier of this burden, this challenge. Each represents a single linguistic domain, which will be mingled or superimposed on the other. 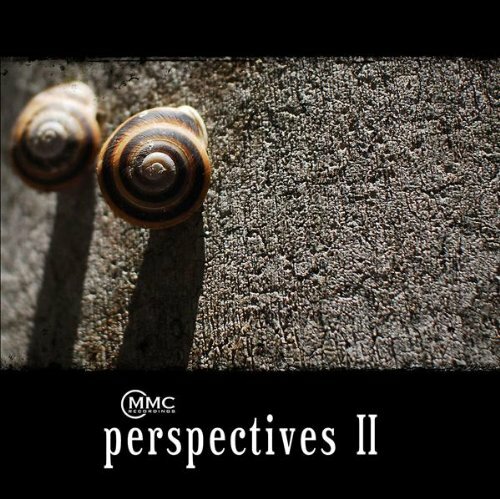 The rich, mellow and vibrant instrumental ensemble of flute, trumpet, saxophone, cello, bass guitar and percussion heightens atmosphere, accentuates meaning. In its chamber-like, accompanying character and relations to voices it calls to mind the famous ensemble of a Pierrot Lunaire. The 13 poems and two instrumental sections of the entire cycle thus consist of a variety of combinations of texture and structure, which never repeat themselves. First lesson starts with voice alone, in the language of the “third party“: German. It searches its way unsupported through practicing a “there is” structure (1. Es Gibt). The melody of the clear three-strophic construction intensifies itself from strophe to strophe while “breaking down”, in the third, a cracked “inventory” of what “is there”. Four (instrumental) Loops (2.) follow. A 9-tone theme (or row) bases the variegating motion they yield through contraction, expansion and metrical playfulness; now homophonic, now fugal, or even heterophonic – in a way that bring certain Mediterranean sonic textures to mind. The “lessons” further flow. Shaped like a medieval “conductus”, the Delegation lesson (3.) focuses on WH questions fraught with political existential sense. The tri-lingual point-counter-point proceeds from one fermata to the next – further punctuated by bass and drum – holding its rhetorical questions in the air. Where to stop? What adds to what? This becomes the major concern of the following lesson (4. Composed Words) performed by the Hebrew singer. Words can be composed into horrific, un/intended meanings and the thematic material now breathes “Israeliness”– tensed, full of angst. The composer “exchanges letters” -- and notes – with his fellow composers and predecessors, accentuates desperation, the peril of gross misunderstanding . In Roots (5.) the three languages/ vocalities further exhaust the potential of three-equal and rather wide-range voices, through imitative techniques that verge again on heterophony, with the middle voice – the German, acting sometimes as mediating between the two. Indeed, root structure characterizes Semitic languages and is foreign to German. Yet all languages, we learn, partake in “ruins of yesterday” and in homilies that are “destructive”. The musical allegory leads the trio, in the final section, to a 14th century hocketus: disrupted, choked alternating utterances, supported by the mellifluous sax. Short and highly intense solo Arabic “Present” - Alhader (5.) compresses voice and ensemble in a breathless, less than a minute utterance, as if there is no future, or no time. Basic vocabulary (6.) takes us into a busy market of words and idioms. Commodities are exchanged, also motifs – nervous, serpent-like; flute interlaces its waves, now exclaiming upon a new lingual merchandise, now uttering a help cry, now negotiating: can they understand each other, these separate agencies? Lists (7. ), delivered in solemn German mode and Common Expressions (8.) follow; they manifest how lists may turn eerie and alternating proverbial utterances—when frenziedly exchanged or combined by the performing protagonists – shaking. In the last lessons/songs drums and trumpet becomes more prominent, sound more connected to real life. Thus in Future (10.) trumpet renders a declarative framework to which speaking voices – on pitch (German), without pitch (Hebrew) and melodically declarative (Arabic) – perform “a time before time”, transporting us to basics – of speech, voice, rhythm. Indeed, as lessons evolve, and we become more involved, the languages, qua performative languages, become more perceptible, each with its unique intonation, pronunciation, difference. Cairo (13.) and Jerusalem (15.) are entirely of this kind; separated by a rhythmical sermon (Canon 14. ), basically unpitched, evoking a wasteland that extends between the two cities. Jerusalem, Elkana’s native city, where three Abrahamic religions encounter daily, is even more cacophonous, boisterous, violent than Cairo. So are the voices; the languages unadorned, the sonorous envelope of instrumental ensemble harsh and unavoidable. Who will win. Who will get closer to God. Who is the desired sacrifice on the holy mount. In the meantime, there is a wound that does not bleed but kills, word that does not fall, but chokes, blackening street sign and a pile of soap and fish flour. Year: 1997 | Duration: ca. 13min. This music, developed for a dance performance by the choreographer Yael Kramski, comprises electronic music as well as a live Violin part. For the electronics I recorded the actor's voices, processed them and intermingled them with synthesized sounds. Premiered on Feb. 4, 1998 at Z.O.A in Tel Aviv, Israel. This work was written in 1995 for the New Israeli Quintet for Woodwind Instruments and was premiered by them at the Henry Crown Auditorium in Jerusalem that year. In the course of working with the quintet and from my knowledge of its members, I decided to insert a solo for each player, in which he is the dominant figure. In addition there is a middle part in which there is no soloist and all play together. The musical material of the quintet is based on a single chord of 5 notes, which appear in twelve variations. In each measure there is one appearance of the chord, so that the twelve measures contain all the possible appearances. Like a blues piece composed of twelve measures of specific harmonic content that repeat themselves over and over, also in this piece, the twelve measures repeat themselves indefinitely until the end. Premiered by the New Israeli Woodwind Quintet on Mar. 20, 1995 at The Henry Crown Auditorium in Jerusalem, Israel. Year: 1995 | Duration: ca. 9min. 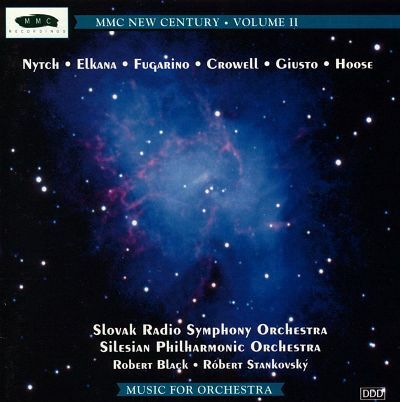 Revadim ('strata') is a work that I wrote for the Musica Nova Consort. The composition begins and ends with a single sounding E pitch and the whole work evolves around this note. Different modern playing techniques are required from the musicians throughout the composition. This piece is influenced by the micro polyphonic works of Gyorgy Ligeti. Tru'a, which in Hebrew literally means "fanfare", was written for the clarinetist Richard Stoltzman. The piece is homage to the composer Witold Lutoslawski who was a great influence and a source of inspiration for me. The work was recorded in August 1997 by MMC Recordings, featuring Mr. Stoltzman and the Warsaw Philharmonic Orchestra conducted by Maestro Jerzey Swoboda. The work begins with an introductory part composed of very high pitched sounds (overtones) produced by the first violin section (divided into four groups) and a sustained high C overtone produced by the second violin section. At the same time, there is a bass drone produced by the basses and timpani. The clarinet part is very demanding, since it uses extreme dynamics and some unorthodox sounds that require an excellent playing technique. Tru’a – in Hebrew both fanfare and ululation, especially when referring to the Shofar blasts in the synagogue during the Days of Awe – this highly imaginative work of the young composer wavers between the two modes, here embodied by the brilliance of a concerto style and real moments of fanfaric calls (e.g. arpeggios in 3’51’’ and in the virtuoso solo cadence) and the entreating mode of the existential calling of the shofar (as in 1’50’ and 6’03’). Even the synagogal congregation is here, through its traditional “heterophonic chant mumbling” embodied by the orchestral “virtual agents” (which, paradoxically enough, the composer achieves by using the sonic technique associated with the Polish composer W. Lutoslawsky) so typical to the (Ashkenazi) synagogue (and the reason for accusing it as “noisy”). The solo clarinetist, celebrating the abundance of gestures, expressions, implorations and explorations, redolent of so much of the literature written for and played by this instrument throughout the 20th century and before, must perform it all as a grand ex-temporation (though every note, dynamic change, trill or articulation effect is written down) as a ravishing play with temporalities, inspiring and sweeping the rich orchestral body in thousands of ways. Year: 1993 | Duration: ca. 3min. Color in Time is a unique blend of orchestral colors, where the orchestra as a whole plays against a percussion rhythm section: the back beat of a drum and the exotic, almost Borodin-like top beat of cymbals, chimes and bells. It throbs and throbs until something very dark happens: the music slows and becomes a Stravinsky-like series of dissonant chords which pulsate like something coming to life, then come together in one long chord frozen inside the music. This chord then grows into a sinister and angry pulse, which is broken by the crash of a gong. This gong is an announcement, a prelude to the series of dissonant notes that follows, notes kaleidoscoping of one another like pieces of colored glass, creating a strange and fascinating pattern. This pulse builds and the strings go into a pizzicato dirge as the composition picks up speed, moving faster until the glass shards lose their color and become black, then explode with a cymbal crash. The piece ends here, but we have been pulled into it. All we have left is silence as our ears strain to hear more. Year: 1992 | Duration: ca. 8min. When composing the saxophone quartet, I was interested in the somewhat limited range of colors you are working with. Writing for different instruments is like writing with a full color palette, creating polyphony with four different saxophones on the other hand is like working with different shades of grey, it's about fine nuances and the gradual transformation of shades, rather than contrasting colors. I also liked to explore the particularly wide dynamic range of these instruments within the sensitive context of a chamber music ensemble. This early piece of mine was written for three musician friends. I wrote in a fairly intuitive way, which is why it took me sooo long to compose... Its character is intimate, one could even say romantic? In Hebrew "Shir" means A Song but also the imperative Sing! In Persian it means Lion. This composition is a song for a Lion that has to sing… A short virtuosic solo for flute that explores many contemporary sound production techniques. The piece was premiered by Yossi Arnheim in a concert series "The Flute at the Center" at the Jerusalem Music Center on January 23rd 1997.